Defend your base from attackers with your tank. Action game where you take the role of of the Dark Messiah, a half human, half demon with the power to save to world or destroy it. 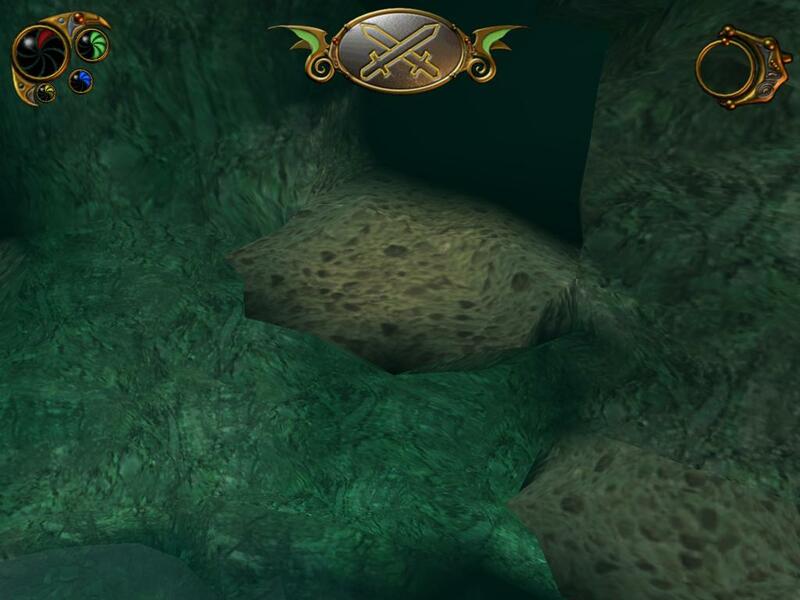 Some simple role playing elements in it also were you can pick skills along three paths, combat, stealth and magic. Many times you can use things in to world to kill the enemy like pulling down barrels onto them or kicking them into a spiked wall. Most of the time it only look stupid and staged with the enemy's standing below huge unstable structure like idiots and waiting for them to fall if a gust of wind removes the small rope that keeps it all up. After flying into the Bermuda triangle you get teleported into another world where evil aliens plan to take over earth. You get a jetpack that allows you to switch between on-foot and air combat and it also makes it possible to fly up and take over the enemy flyers in the air. Flying them is fun but stealing them is not as the hand of Capcom has added quick-time-events all over the place. Game feels half completed in some areas and that seen mostly in the story that skip over some major events. Take the role as War, one of the Four Horsemen of the Apocalypse. The world has ended and you run around and kill of angels and daemons that gets in your way. Class based first-person shooter set in World War II. Open world zombie shooter. Really more of a zombie smasher as there is more focus on melee combat then guns. Walk or drive around the island, smash zombies and try to find a way off the island. Instead of fixing the bugs and problems in the first Dead Island they made a new game and this is not a worthy sequel. You can drive a boat now but it is slow and they get stuck everywhere You can defend your base at sections in the story and enjoy the worthless help of the non player characters. All in all a really low score and halfway into the game i noticed the spawning of enemies right beside me and that i do not accept in a zombie game. Third-person survival horror game where you play a engineer sent to fix some technical problems on the planet-cracker space ship Ishimura. Technical problems in this case is aliens, crewmen that rise from the dead and fanatics that think that death is a doorway to a better life. Environments are great ( fun zero gravity areas), game play is nice, controls are annoying and the story is linear and as predictable as a Friday the 13th movie. Still a bit to predictable story. The events in the game get less of a impact when it's so easy to see what will happen all the time. It was nice to travel between the ships. Less fun on the planet. Looks good and it try to focus on the story but it really fails at it. You walk around painfully slow and look at the environment and listen to the narrator that try to fit as many metaphors as possible into each sentence. There is no way to interact at all so you can not really do anything else so for something that sole focus is the story it does not really deliver. The whole thing takes less then a hour and the major part of it is thanks to the really slow walking pace and the dead ends that contain nothing. In short it feels like the developer has taken a badly written short novel and turned it into a walk through experience. Strategy game where you try to take over all of England in the Middle Ages. Tactical first-person shooter that uses voxel based rendering that makes it look a bit different from other games. It provided long view distance of the world compared to many games of the time so sniper rifles was fun in this game. Second part in the delta force series where you once again run around shot people in a landscape setting. Third delta force game this time without the voxels :(. Mission pack to Delta Force: Land Warrior. Nice follow-up on Descent. The two most annoying things in this game is the thief (steal all my cool weapons) and the guide bot. The guide bot is on the players side but it always keep shooting me to tell me I'm going the wrong way. Like you would drive somewhere and give your wife a flare gun so she can alert you when she thinks your are going the wrong way. Double amount of weapons also as each weapon slot now contain two weapons :). More levels to descent 2 and now there is a evil thief in every level :(. This is a first person action game with role playing elements. You take the role of JC Denton, a anti-terrorist agent that travel the globe and try to find out the truth behind a evil conspiracy. It all takes place in a dark future around 2050.Your character have skills such as lock picking, swimming and some weapon skills and all skill start at the untrained level. Augmentations are another thing you can use to change your character and they give you ability s such as cloak and targeting systems. It s not possible to have all augmentations or master level in all skills so you need to choose the ones that fit your playing style.When you play you have to choose what sides to support in the game and who to thrust. There are some different endings in the game but that don t really matter that much. Sux, like thief 3. Take your Bloom filter and burn. Arcade action game were you hack your way down a dungeon to kill Diablo. You can choose to play one of the three classes of warrior, rogue and sorcerer. All levels in the game are random generated so it s different each time you play. This game continues the story from the first game and Diablo escapade the town of Tristram and are now free in the world. Your character follows him in a quest to stop and kill him. The game takes place in four acts and for each act there is a cut scene movie that moves the story forward. This time there are five available classes to pick from: Amazon, Barbarian, Necromancer, Paladin and Sorceress. Each class have their own set of skills they can use, around 30 skills/class and you gain on skill point each level. The more skill points you put in a skill the better it gets. Expansion pack to Diablo 2. This adds a new act were you follow and kill Diablo s evil brother Baal. It also adds two new classes to play with, Druid and Assassin and many other good things. The devil that refuse to die is back. Explore a slightly random world for loot and use it to stab him. Then when he is dead play the expansion reaper of souls and kill death. So I did and i was bored most of the time. Once again a brave hero have lost his true love and need to go down the deep dungeons to rescue her from a ritual sacrifice. By this time one could think that all heroes should have learned their lesson and stayed home more as everyone's goal in life seems to steal their loved ones.We see our brave knight from a third person view as he hacks away at the ones that stand in his way. Not much more happens in this game as it's all about chopping the heads of monsters with your sword. The swords can be controlled by a system were you use the mouse to swing it but it's almost impossible to hit anything and rather then looking like a swordsman you die by the sword of the enemy if you try it. Can also be played in multiplayer but only with the same old death match like every other game. Shoot- em-up seen from above with a world that scrolls as you move along and kill everything. Can be played with two players. Jumpman (aka Mario later on) try to save a girl from a huge Ape. Jump barrels to save the girl. You play Donkey Kong Jr and try to climb up and save Donkey Kong. Save Donkey Kong from his cage. So fun. Get it now :). You returned to earth at the end of doom and find out that your friends from hell have arrived before you. More monsters that need to die, more levels and also a nice double shotgun for you to use. Doom was action and Doom 3 try to be a horror game. But it does not work as everything is so predictable that one almost fall asleep. Every monsters stands where you think it will and the only horror is when you walk to the next level and see that it is the same sci-fi labs environment as the last one. There are max three monsters at once and the first time you meet a new monster they break the flow with a worthless cut-scene to show it off. Doom I and II are great games and Doom 3 does not deserve to use the same name. This is a basic Doom 3 expansion without any real value. All bad things on Doom 3 still apply and they also added a new weapon that works the same as the Gravity Gun in half life 2. There is not much use for it as so few things in Doom 3 can be interacted with. Turn based first person shooter where you go a UAC base on the Moon to stop the demons from hell. Roguelike with a setting based on the first-person shooter Doom and Doom II. Includes a graphical tileset and the Doom sounds and music. Tactical top-down shooter that was fun until noticed that enemies only see you after you have seen them. Worthless camera angles makes the game unplayable and the stupid cutscene each time you move to a new area don t make it any better. Stupid gameplay also were you run around like a errand boy and help people with to most simple tasks and the dragons only act as some form of teleporter taxis. Burn the cd and move along please. In this action-adventure game the player takes the role of Rynn, a woman that searches for her brother that have been kidnapped by a evil sorcerer. She takes the help of the dragon Arokh and the game takes place both on the ground and in the air with Rynn riding Arokh. Nice landscapes and fun monsters but bad story. Hunt duck's with the NES zapper and get laughed at by your dog when you miss. Take to role of Duke Nukem and kill aliens, pig cops and save the babes. Unlike to rest of the faceless heroes of other first person shooters Duke is a one man show on his own and drop one-liners as often as he drops aliens. In the game you go around the levels and kill of more or less anyone that look at you except some babes. To help you with that you have a guns, big guns and guns that shrink the enemy or freeze them so you can kick them into ice shards. All in all a great game and keep in mind that if they aliens try to take our babes the aliens need to die. Fist-person shooter that is overall really bad. The best part is when one is hit by the Shrink ray. Some levels looks like they where made in 2000 and has not been updated since. This was one of the first real-time strategy games. The game takes place on the planet Arrakis were three houses, Atreides, Ordos and Harkonnen are fighting for the control of the spice melange. To gather spice you send out your harvesters and then you use the spice to get money and build your base so you can destroy you enemy. Each house have their own weapons and tactics and building a defence tower inside the enemy base is always fun. This is all about stuff that are better then the stuff you already have. The story of the game is something about something evil somewhere doing something evil and you and your epic heroes need to travel the world, killing everything until all the evildoers are dead. In short, don t worry about it and play to get more stuff. Dungeon Siege expansion pack. Some new things like set items but overall this expansion don t match the level of the original. Run around in a city and try to avoiding the brain eaters. Like the past zombie game from Thechland the focus is on melee weapons but this time you can also climb and jump between buildings. Not many zombies can climb but to get the good stuff you need to get down on the ground and inside buildings. Good game, some boss battles i hate but i hate them in all games. DLC to Dying Light where one get to explore the countryside with a car. Always fun to run over zombies with a car :).